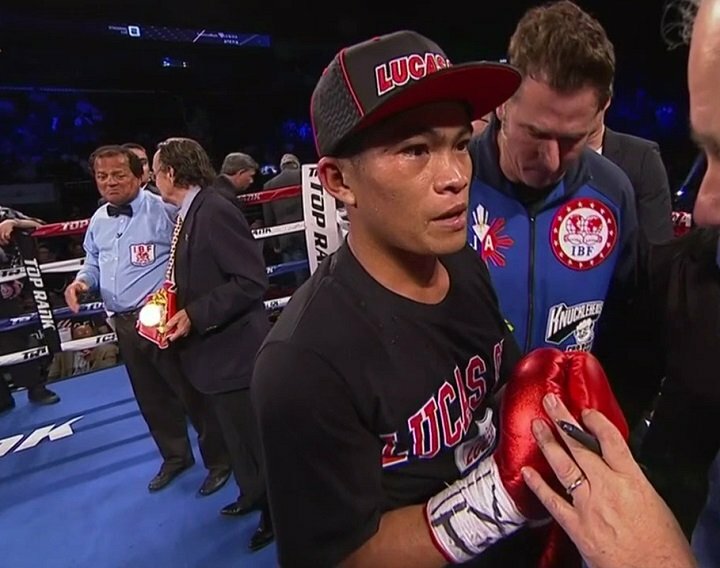 By Jim Dower: IBF super flyweight champion Jerwin Ancajas (29-1-1, 20 KOs) will be defending his title against #1 IBF mandatory contender Jonas Sultan (14-3, 9 KOs) in late May on ESPN in Las Vegas, Nevada. This is going to be a tough fight for the 26-year-old Top Rank promoted Ancajas, as his Sultan has made dramatic improvements in his game in winning his last five fights. Sultan’s career didn’t look that special up until 2016. Sultan had suffered losses to Go Onaga, Jonathan Francisco and Rolando Servania. But since Sultan’s last defeat in 2015, he’s put together an impressive 5-fight winning streak and he’s looking very hard to beat. In Sultan’s last three fights, he’s defeated former world champion John Riel Casimero and Sonny Boy Jaro, as wel as Makazole Tete. Ancajas will be making his 5th defense of his IBF 115 lb. title he won in September 2016 in beating McJoe Arroyo. Top Rank is hoping to turn Ancajas into a star in the U.S, and they’ve been televising his fights on ESPN lately. It’s going to take time and a lot of impressive wins over quality opposition for Ancajas to become the star that Top Rank hopes he’ll be. Ancajas’ opposition lately has left a lot to be desired, as he’s beaten Israel Gonzalez, Jamie Conlan, Teiru Kinoshita and Jose Alfredo Rodriguez. Those are not the kind of opposition that will take Ancajas’ career to the next level. Those were more record-padding fights for the big-hitting Ancajas. Ancajas is promoted as well by Manny Pacquiao Promotions. The two fighters are both southpaws, but they fight a lot differently. Pacquiao has been a speedy fighter who moves around the ring, attacks from different angles and throws a lot of powerful combinations. Ancajas is slower, more methodical, and he focuses a lot on his body punching. Ancajas’ punching power is quite good. I wouldn’t put Ancajas’ power in the same category as WBC super flyweight champion Srisaket Sor Rungvisai. Ancajas is not that kind of a puncher. Ancajas hits hard, but his power isn’t as devastating a Rungvisai. Top Rank chose not to put Ancajas in the recent SuperFly2 card. It’s a shame Top Rank didn’t do that, as would have given him a lot of visibility. Ancajas would likely be expected to face a better quality opponent than the last fighter he defended against in Israel Gonzalez for him to have fought on the SuperFly2 cards. Those cards involve competitive fights between talented fighters. Ancajas vs. Gonzalez was a mismatch. Ancajas was matched against a fringe contender on ESPN. Hopefully, Top Rank’s plan for increase Ancajas’ popularity is for him to face weaker opposition with no chance of beating him, because he’s been doing that a lot lately and it’s not increasing his popularity fast enough. Top Rank needs to take some chances with Ancajas, and not just when it’s a mandatory being ordered by te International Boxing Federation. This will be the first two fighters from the Philippines will be fighting for a world title belt in 92 years, according to Lance Pugmire.